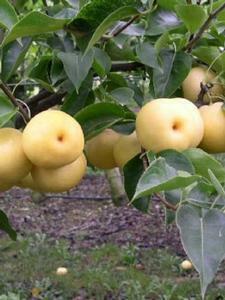 Very juicy, sweet, creamy white, crisp medium-size round fruit. Self-fertile and good pollinator of Hosui. Mid-season.